We hope to start a Smiles & Hope India programme in 2014. "Bringing our sons and daughters home" is a campaign that we are committed to promoting. It is a hearts and minds commitment - hearts in getting dental professions from outside India, and especially those with an Indian heritage, to support and engage with voluntary dental projects in India. 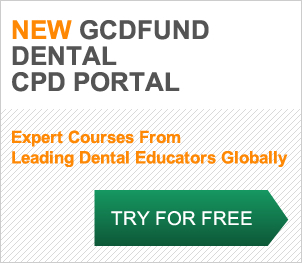 We developed a strategy to engage with the worldwide Indian dental health professional community since 2010. This lead to a joint venture by us and GAPIO (Global Association of Physicians of Indian Origin) resulting in the publication of the book by Professor Raman Bedi, Dr Emma Davidson and Jing Jing Liu titled, “Indian Health Professionals around the World: a Common Agenda” in 2012. This book emphasizes the pressing need for a common platform for the Indian health professionals living in India and overseas to join hands in order to work together towards a common goal of improving the health status in India. An online survey questionnaire was launched in the summer of 2012 and was completed by 1194 dentists in India. The aim of the survey was to gain insight and learning on the perceived issues & challenges facing dental professionals within India and to provide guidance on how the wider Indian Diaspora may be able to help solve them. This online survey was open for 5 weeks and some results of the survey indicated that periodontal disease is the major concern and tooth sensitivity scores were low on the respondent’s priority concerns. Furthermore, the major request from Indian dentists, to their worldwide counterparts, is for mentoring. All profits from the book “Indian Healthcare Professionals Around the World – a common agenda” will be used for the Smiles & Hope programme (India) project which helps disadvantaged children achieve better dental oral health in the subcontinent.